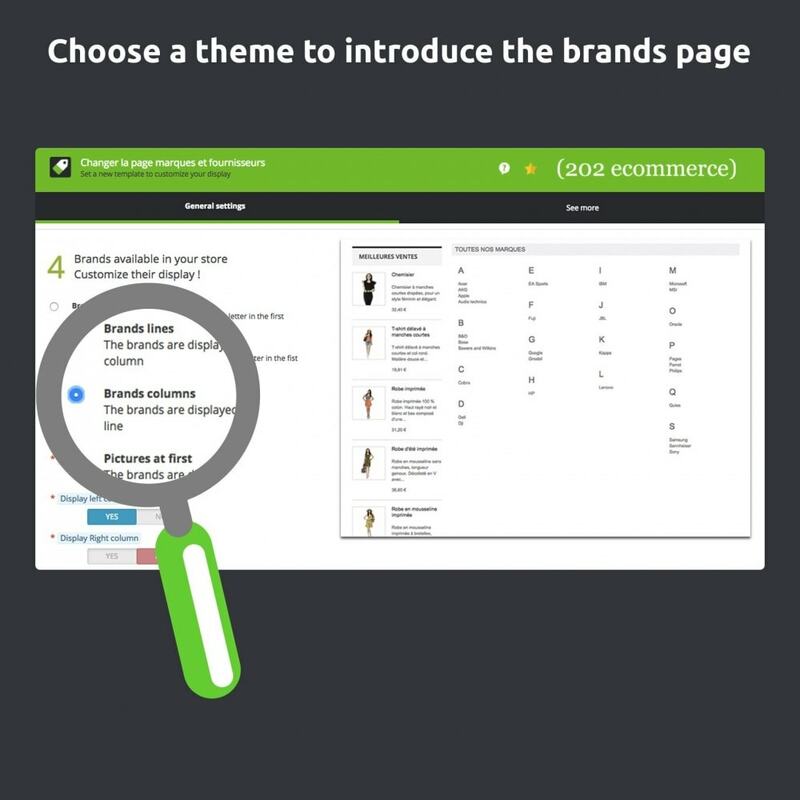 This module enables you to put the brands you’re offering in your PrestaShop store forth. Responsive in front and back office: The module is entirely responsive in front and back office, in order to be able to check it from any device (mobile, tablet, PC). 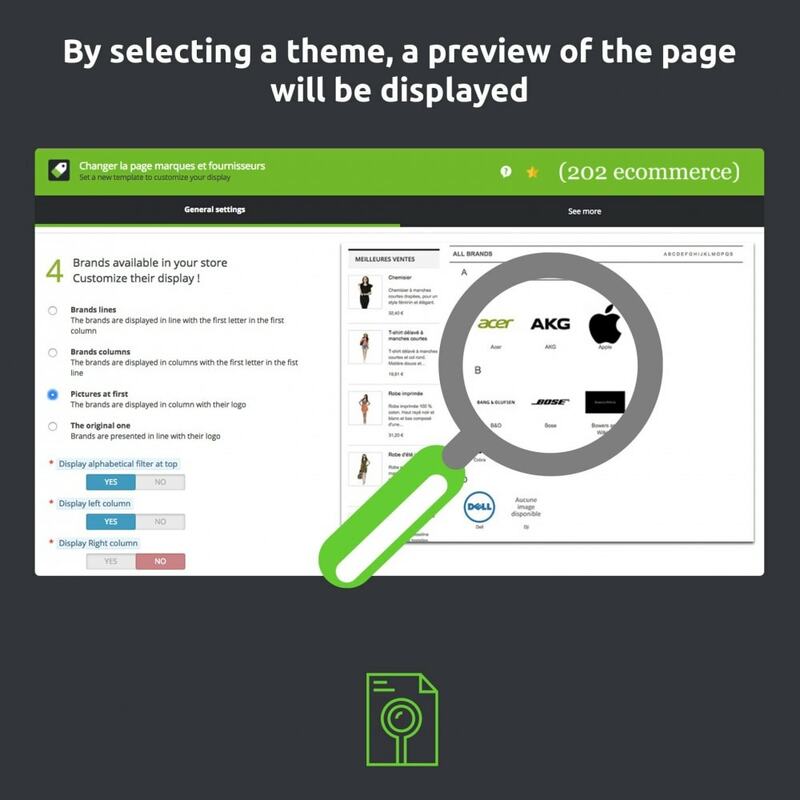 Compatible with all PrestaShop themes: The module has been entirely thought to be compatible with all PrestaShop themes. Fonts and colors used for your theme will thus be used in the brands page of PrestaShop. Simplified interface: The interface of the module has been thought for sellers who don’t know how to program to be able to improve their store without prior knowledge. Responsive design: This module is entirely responsive and thus enables a pleasant browsing on mobile and tablet. 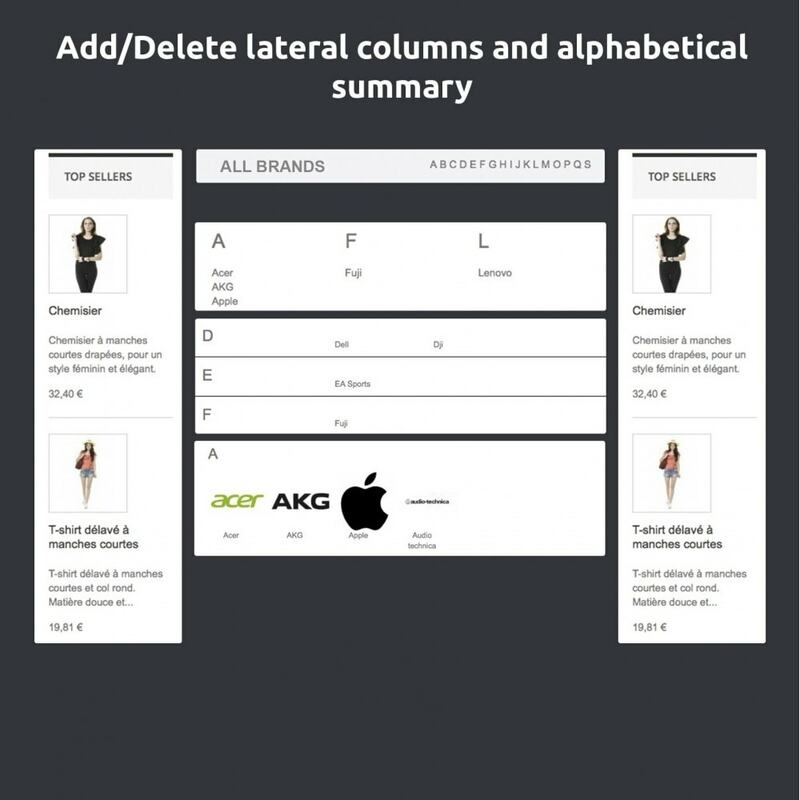 Display a brands summary: An alphabet at the top of the page enables to select a letter in order to be redirected to the relevant brands lower on the page. 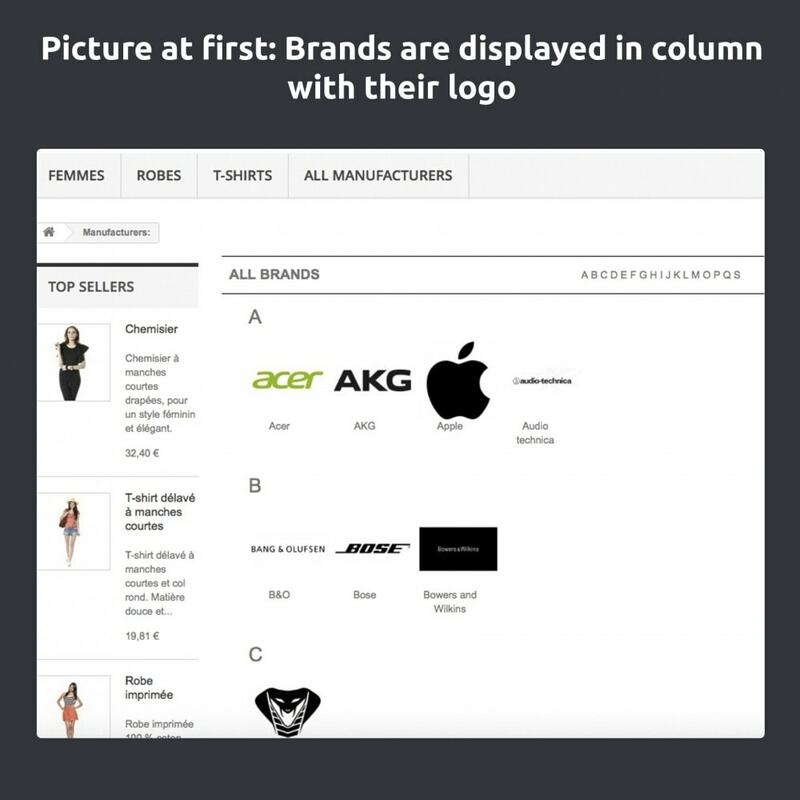 Display/Hide the left lateral column: You can quickly hide or display the left lateral column in the “brands” page of your PrestaShop store. 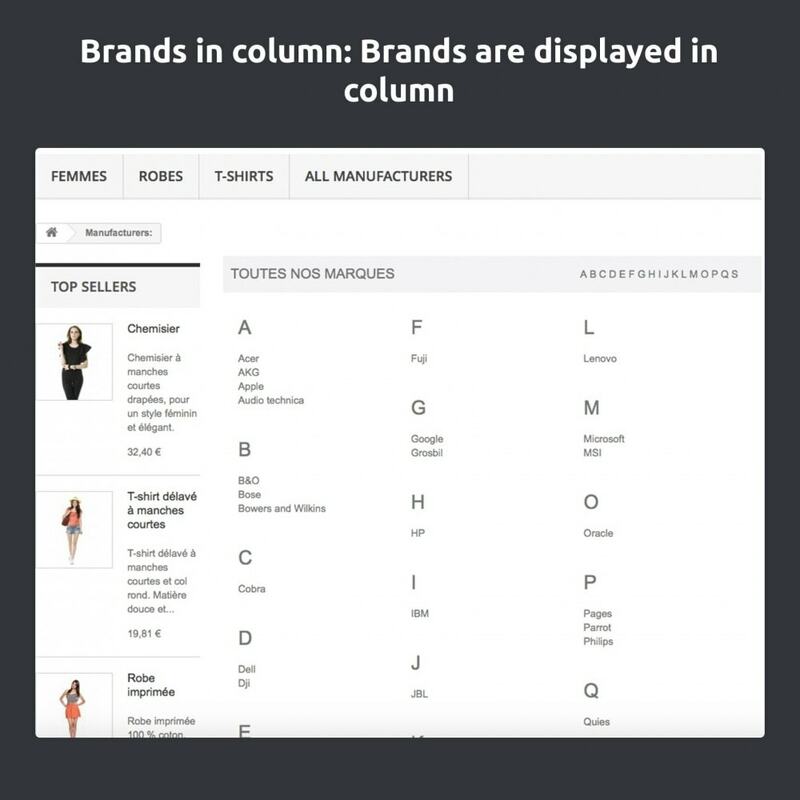 Display/Hide the right lateral column: By default, PrestaShop doesn’t display any right lateral column, however several themes offer one. That’s why it is possible to deactivate or make the right lateral column visible from the module management. We suggest the “Redirection 404 Manager Pro” module, enabling to quickly and easily detect and set up redirections. The “Automatic email dispatch to the supplier” module enables to make your resupply automatic with a drop shipping solution. 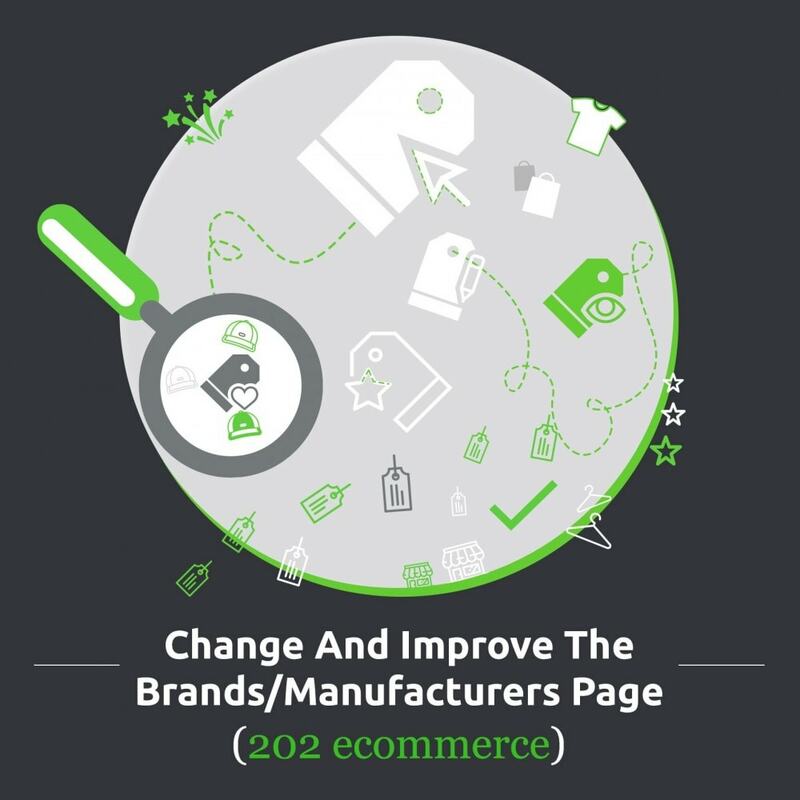 Since our agency is specialized in cyber commerce, we adapt web techniques to specific issues related to online sales. Composed of web professionals who are online sale lovers, we accompany cyber merchants, with the same desire of always selling more. A better brands organization: By selecting a letter in the summary at the top of the page, your customers will be directly redirected to the corresponding brands. 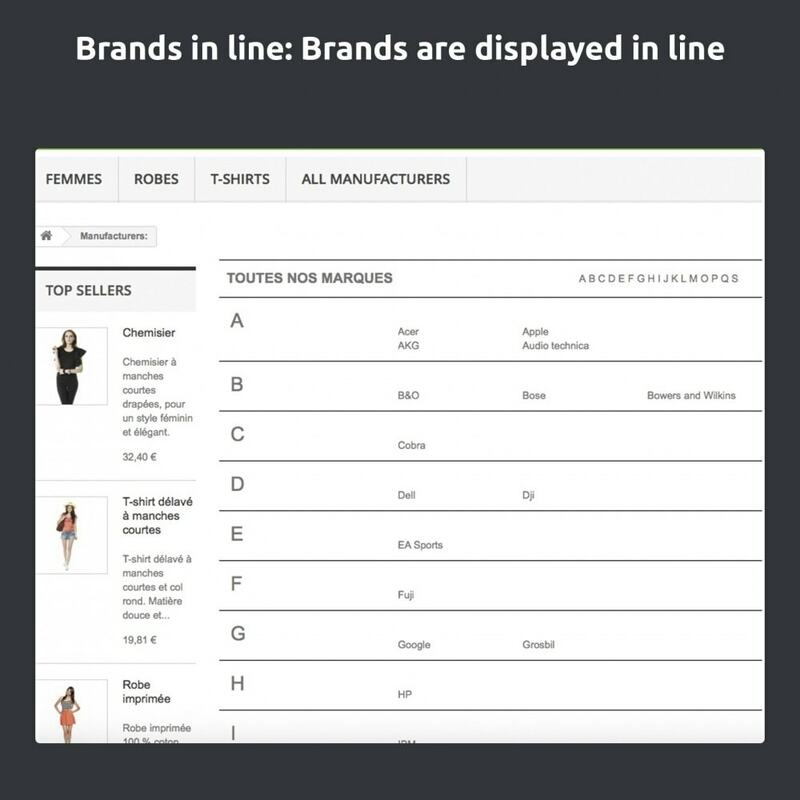 A responsive and organized display: The default page of PrestaShop enables to display an average of 4 brands without scrolling, while our themes enable to display twice as much. 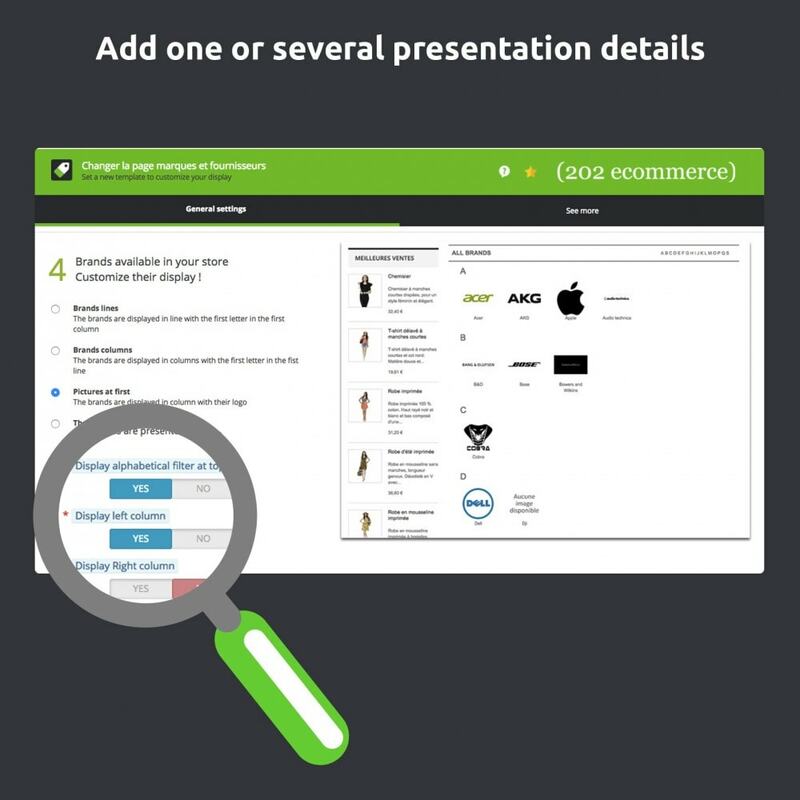 This will give your customers the opportunity to get a general view of the distributed brands. Installing the module doesn’t require any complex operation from you. After your purchase on PrestaShop Addons, you have to download the module in zip format and then install it in your back office from the “modules and services” menu. The module doesn’t require adapting your PrestaShop theme. If you need support, don’t hesitate to contact us by clicking the icon featured in the banner.